If you're looking for a job, but you're limiting your job search to the obvious sources like newspaper want ads, job websites, and Craigslist, then you may find your application on the bottom of a really big applicant pile. If you don't want to get lost in the growing job search crowd, you'll need to find a way to outsmart your job-seeking competition. Use these tips to sidestep the competition, find job openings, beat the recession, and get off the unemployment line fast. If you're wanting to get into or stay in the retail industry, keep in mind that there are usually more candidates than positions, especially at the best retail companies. 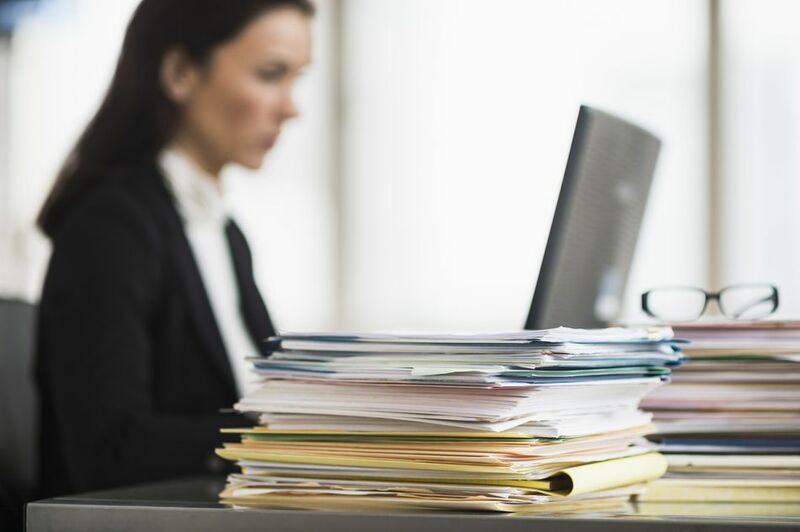 Generally, retailers don't have to advertise their job openings because they already have a stack of unsolicited job applications sitting in the inbox at all times. You’ve got to get yourself on the top of “the stack” if you want to get hired by your favorite retail companies. If you're looking for a retail sales position, it may be easier to conduct your job in the climate-controlled comfort of your local mall, but your efforts might yield better results if you focus on companies that receive less foot traffic like smaller stores in smaller shopping strips. Less traffic and fewer applicants mean less competition for you. You don’t need money to get a great return from the stock market. When you invest some time reading the latest stock market news, your effort can yield some important job-hunting inside tips. While many companies in the retail industry are struggling right now, there are also many companies that are thriving. Focus your job-hunting efforts on the companies that are doing well, because they’re the ones that need employees and, most importantly, they're the ones that have the money to pay their wages. No matter how much companies like Sports Authority like you, ​you’re probably not going to get hired there while the company is teetering on the brink of bankruptcy. Don’t conclude that a company isn’t hiring just because there isn't an ad in the newspaper or no sign in the window. Unless there is an urgent need, many companies will only advertise job openings on their own websites. Visit the company’s website and look for links like “careers” or “about us” or “company info.” Click around these pages until you find the listing of available positions in the company. When you use this strategy, hiring managers will get the impression that you found the job opening because you are specifically interested in their business. This is a good impression to give because every company thinks it’s special, and they want their employees to think so too. If you're looking for a part-time, entry-level, hourly, or seasonal position, there are several websites that are specifically promoting jobs that pay an hourly wage. Since many hourly wage jobs are in the retail industry, a search of these hourly-pay sites will reveal positions that are not even listed on Monster, HotJobs, or CareerBuilders. If you know that you specifically want an entry-level position, it’s more efficient to go to these hourly-wage websites because you won’t have to wade through all the salaried jobs to find what you’re looking for. If you want to work in the retail industry, but it doesn't have anything to offer you right now, don't be afraid to make the hop into another industry. Many famous CEOs career tracks reveal what's possible for someone who knows how to master the art of job hopping. Several of the largest retail organizations are currently being run by CEOs who had no prior retailing experience at all. It's important to remember that you take your experience with you wherever you go. You can learn, grow, and achieve in any industry. By hopping into a completely new job, and gaining new knowledge and skills, you will be even more valuable when the retail industry rebounds and starts hiring talent like you again. It’s time to get all those Friendsters, buddies, and cyber contacts you’ve been collecting working for you. Get as many locals as you can on your buddy list and then send out a note asking them who’s hiring. Surely somebody will know somebody who’s looking for somebody. Socializing your way to the perfect job is not just about searching in the obvious places like LinkedIn and Facebook, it's about creating and using connections in the less obvious places, like YouTube, where you upload a unique job-hunting video of yourself with viral ability, along with Instagram and Periscope trailers, for example.